Most people think that bearded dragons are simply lazy reptiles. They think that this is normal in bearded dragons. However, is that really the truth? 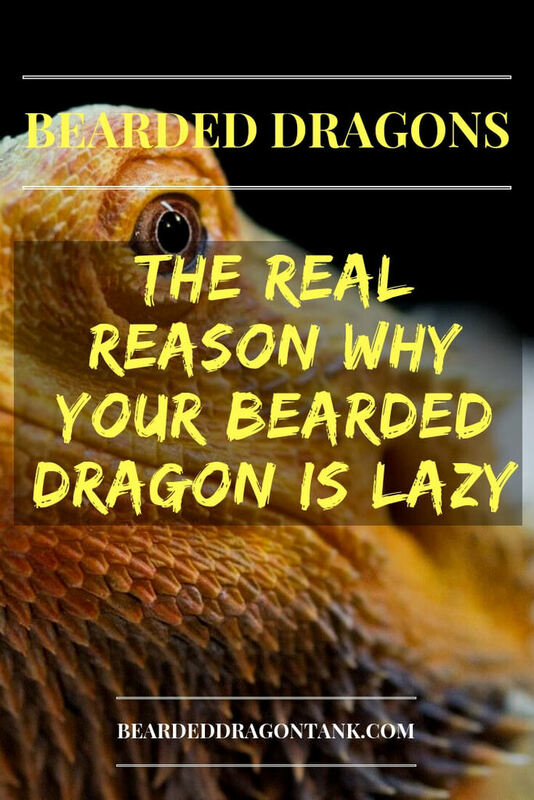 And if that´s not true, why is your bearded dragon so lazy? Here is the answer. Bearded dragons normally are very active reptiles. Laziness or lethargy in bearded dragon is always a sign for sickness or faulty housing conditions. Temperatures that are too low can cause lethargy in bearded dragons while overfeeding and feeding the wrong food can cause laziness in bearded dragons. So as you see, a bearded dragon can be lazy or it can be lethargic. However, what is the difference between the two? And how should you feed your bearded dragon so that it becomes more active again? Why Is My Bearded Dragon So Lazy? As you just learned, laziness and lethargy in bearded dragons is caused by faulty housing conditions, wrong feeding and it can be caused by several other reasons, which I am going to tell you later in this article. First, you should be aware of the fact that there is a difference between lethargy and laziness. While laziness is a choice, lethargy is a lack of energy which could be caused by a medical condition or by faulty housing conditions. So lazy bearded dragons just don´t want to move, but are still attentive. Lethargic bearded dragons are not attentive. As you see, those are two completely different things. While a bearded dragon that is lazy, most probably is healthy, a bearded dragon that is lethargic might be sick or there might be something else wrong with it. Laziness in bearded dragons is actually pretty common in bearded dragons in captivity. Most people think that bearded dragons should eat live food and maybe some greens and that´s it. However, just feeding a bearded dragon this way can lead to sickness, laziness and overweight. Most pet bearded dragons are actually too fat and fat bearded dragons are more vulnerable to diseases. In fact, more and more pet bearded dragons suffer and die from fatty liver disease. So if your bearded dragon is lazy all the time, there is a good chance that you are overfeeding and feeding the wrong food. Let´s talk about what you can do about that. First, you should be aware of the fact that bearded dragons are pretty hardy. Healthy, adult bearded dragons can go without food for 1 or 2 weeks without any problems. They are used to being not able to catch or to find food in the wild of Australia. So in order to not overfeed your bearded dragon, you should at least have one day per week when you feed your bearded dragon nothing at all. Second, adult bearded dragons should always eat more greens than life food. Don´t get me wrong, they should get some protein from insects, but feeding your bearded dragon live food each and every day will make it fat and sick over time. Feeding live food three to four times a week is more than enough. A lot of people only feed live food twice per week and that is fine as well. Baby bearded dragons on the other side, should eat more live food than greens. They need the fat and the protein for growth. Third, bearded dragons need no treats. I know that you don´t mean to harm your bearded dragon by feeding treats, but it can get too much and it can make your bearded dragon fat and lazy. Mealworms and superworms are especially bad for bearded dragons. The majority of bearded dragon owners likes to feed those worms, but they are high in fat, which is just not good for bearded dragons. Malnourished bearded dragons or bearded dragons that were sick and need more energy can eat mealworms, but healthy bearded dragons do not need them. They are not just bad for your bearded dragon´s health, they are also addictive. Yes, your bearded dragon can get addicted to mealworms and refuses to eat other food. Want to learn more about the effects mealworms can have on bearded dragons? Click here to read my article on that. Your Bearded Dragon Is Refusing To Eat Greens? No Problem! I know that a lot of bearded dragons in captivity are refusing to eat greens. However, this is not normal as bearded dragons are omnivores and it shows that your bearded dragon was fed incorrectly for quite a long period of time. Luckily you can do something about that, even though it requires a little bit of work. I have written an ebook on that. My ebook shows you how you can get your bearded dragon to eat greens within the next 7 days! Get it here! Bearded dragons can actually eat a lot of different greens and vegetables. I have created a list with over 88 things your bearded dragon is allowed to eat. Have a look at it here. As I said, laziness and lethargy in bearded dragons are two different things. If your bearded dragon is lethargic, your bearded dragon might even be sick. So here are the reasons for lethargy in bearded dragons. As you know, bearded dragons live in sunny Australia and it can get extremely hot there. A lot of sunlight and high temperatures are exactly what bearded dragons need, since they are cold-blooded. Cold-blooded animals need an external heat source to get their body on temperature. If a bearded dragon is not able to bask properly, which means no light or low temperatures, it won´t be able to get its body on temperature. In that case, a bearded dragon´s body is not able to perform properly. This can appear as laziness. Further, bearded dragons need UVB light to survive. 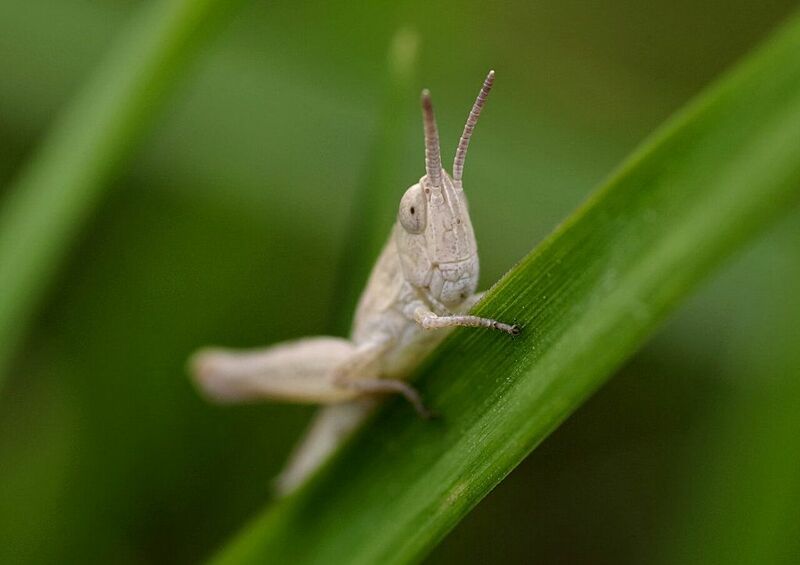 Through the UVB rays, their body is able to produce vitamin D, which is needed to process calcium to their bones. If you do not have a good UVB bulb, your bearded dragon will become sick. If you are worried that your lighting might be insufficient, read my bearded dragon lighting guide. The video below shows the perfect example of a lethargic bearded dragon. The beardie is not really attentive, closes its eyes and the lighting in that tank is incorrect. Lethargic bearded dragons often suffer from parasites. Parasites are known for draining a bearded dragon´s energy so that a bearded dragon won´t move much anymore. Diseases like tail rot and mouth rot, or other diseases can also be the problem. I think I don´t need to tell you that a sick bearded dragon won´t be as active as a healthy bearded dragon, so if you fear that your bearded dragon might be sick, get it to a herb vet. If you fear that your bearded dragon might suffer from parasites, you can send a stool sample to your reptile vet. A stressed bearded dragon might appear lethargic. Constant stress can make a bearded dragon sick and that´s why it is extremely important to give a bearded dragon the opportunity to avoid all potential sources of stress. Actually, hides are very important for bearded dragons as they can reduce stress. If you want to learn more about that, read here why hides are so important for bearded dragons. Bearded dragons are solitary animals, which means that they should not be kept in groups. Unfortunately, most pet shops sell them in groups and tell their customers that bearded dragons only do well in groups. Male bearded dragons are very territorial and will oppress and attack other male bearded dragons until the other male leaves or dies. Male and female or two female bearded dragons can get along with each other, but there is no guarantee for that. So if your bearded dragon gets oppressed by another bearded dragon, it might appear lethargic. You have to separate your bearded dragons. No matter if your bearded dragon is lethargic or if it is lazy, this behavior is not normal in bearded dragons and you should check your beardie diet and your housing conditions. If that is okay, your bearded dragon might be sick and you need to take it to a vet. So I hope that this article has answered the question: Why is my bearded dragon so lazy? Still, if you have further questions, simply leave a message in the comment section below.